Morrissey is prone to saying a lot of things that he shouldn’t, from subtly kicking dirt on David Bowie’s grave to criticizing former POTUS Barack Obama for being too “white inside” during his presidency. Hell, Ryan Adams even recently made a game out of Moz’s many tone-deaf comments, comparing him to Donald Trump. Baldwin and his works have long been admired by the British singer, references to him popping up throughout Morrissey’s autobiography. As Pitchfork points out. Baldwin’s image has also been used during the Smiths member’s live shows in the past. Is the shirt supposed to be in support of Baldwin? Blackness? Both? Neither? Whatever the case, though, taken as a whole — the lyrics which were written by a white man, juxtaposed with the image of a black man who spoke extensively about the struggle of blacks in the US, and the shirt itself being sold to profit a white man’s music career — this new piece of merchandise seems off and a bit tactless. Morrissey easily could’ve just slapped the lyrics and his own face on a shirt and called it a day. But he didn’t. Perhaps Moz should’ve thought a little harder about this one. 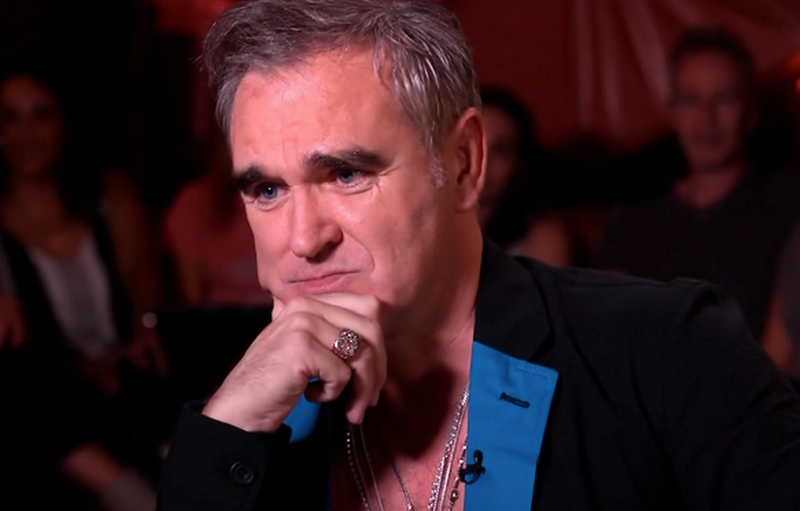 If fans can’t make it to Morrissey’s shows, or if they get canceled (imagine that! ), the t-shirt will be made available on his official merch site.